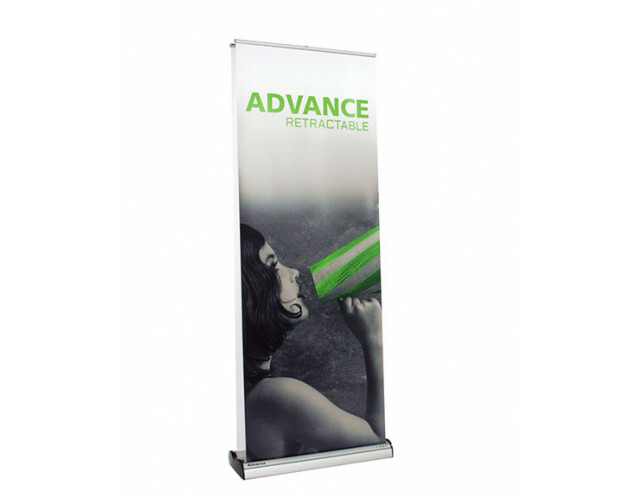 This dual sided retractable bannerstand sets up in minutes with adjusting height for maximum visual display. The change out graphics easily with replacement cassettes for any of your products or brands. 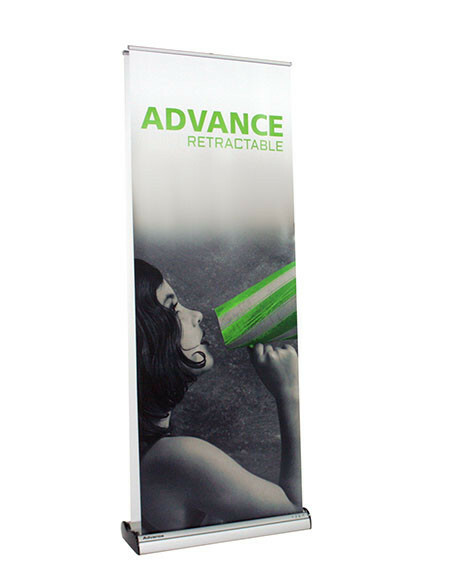 Many of the other retractable bannerstands need two people to swap out graphics and retensioning can be a pain. 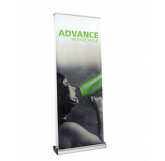 Alleviate the unnecessary headache with the Advance Bannerstand from Trade Show Emporium today! 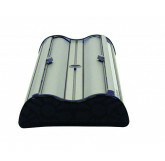 Variable graphic height 29.5" - 83.35"
Replacement Graphic with cartridge $199 (fabric $249) ea.